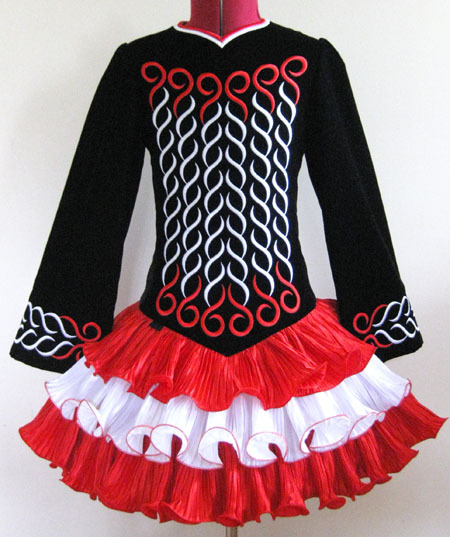 Centre front dropped waist to hem: 8½"
Black micro velvet bodice and sleeves with bright red and white feminine embroidery design. 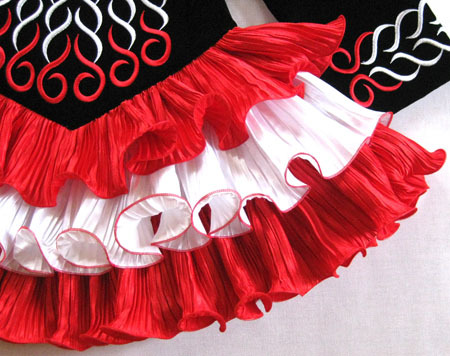 Pretty red and white pleated satin cupcake skirt ruffles with red trim. 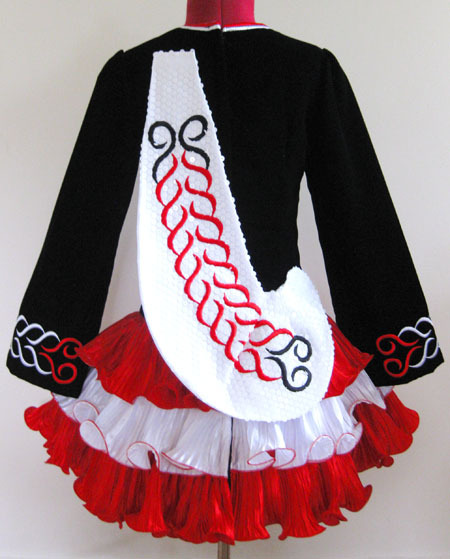 Shawl constructed from sparkly white sequin lace overlay with matching red and black embroidery design.